Crystal Clear Creations is a full service Lexington KY based Window Cleaning Company that specializes in commercial and residential window washing. 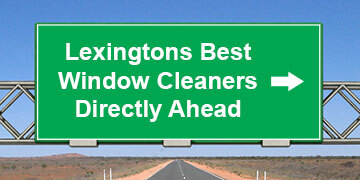 Our window cleaning service area encompasses the entire bluegrass area including the cities of Frankfort, Georgetown, Versailles, Winchester, and Nicholasville KY.
We have the experience along with the proper tools and equipment to leave your windows or glass enclosures streak free at the end of our job. If they’re not? We’ll come back and re-do them for free. Our commitment to quality work is due to a lifetime of dedication geared towards customer satisfaction. Maybe you’re getting ready for spring cleaning and just don’t do windows, or getting ready to have a big party at the house. Sometimes our clients are selling a home and need the windows looking as good as possible for when prospective buyers are doing a walk through. 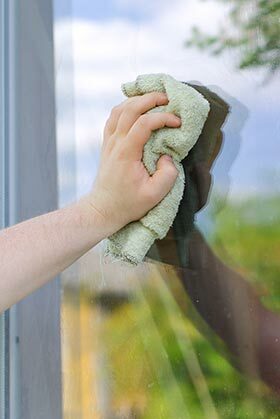 Regardless of the situation you’ll find that Crystal Clear Creations can have you ready with a streak free window washing job that will pass the closest inspection. We use environmentally safe cleaning solutions that don’t leave any unpleasant odors in your home when we’re finished. Your windows will look great and impress anybody that looks at or through them. We are equipped with the tools and equipment to handle most any large commercial window cleaning project in or around the Lexington KY area. Ask about our various solutions available to property managers that focus on scheduling that works around your schedule. We can also provide regular maintenance contracts for you window washing needs and cover the entire Blue Grass area within a 30 mile radius around Lexington KY.
We only do window cleaning. That’s it. If you need carpet cleaning, or floor cleaning like stripping and waxing, or buffing and polishing we advise that you visit or call Centric Cleaning of Lexington KY. Chris Stinnett is the owner and we highly recommend him and his company to you. We’ve used them on many occasions and their work is top notch. We don’t charge for our window cleaning estimates here at Crystal Clear Creations. We’re sure that you will find that our prices and guaranteed quotes are fair and competitive.